I've been a conservative for a long time. In my younger age I have spent a good amount of time reading and understanding conservative ideology. I've become entranced with it and with my understanding, I have shunned the opposing Democrat political party. I tended to enjoy conservative principles but as time has slowly passed I realized it wasn't about a left or right leaning ideology. It all came down to my disdain for authoritarian philosophy. Both the left and the right. They both had given in to the authoritarian ideology. They both prefer war. They both believe in the government to be able to provide to either the citizen or to corporate interests. I have found that every U.S. government entity has essentially widdled down to poison or bankruptcy. It made me realize that while people fight for their Democrat or Republican position, they both have the same thought of having authority over an individual. That is why I switched from a Republican to Libertarian. 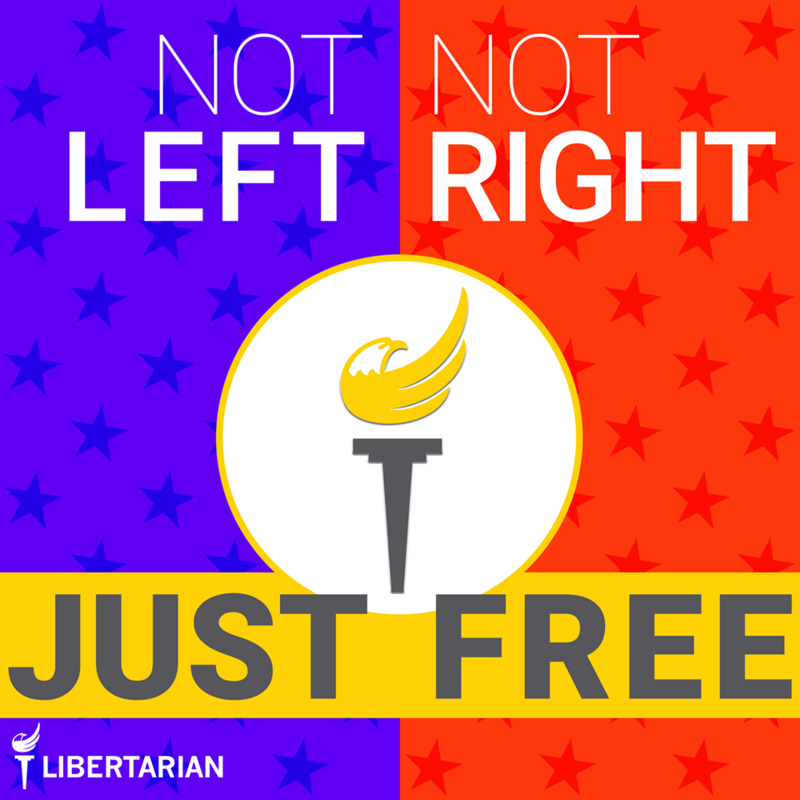 I switched and then even decided to join my local district Libertarian Party. Even going so far as to join them in their monthly meetings and help spread the word. I decided to spread my Libertarian ideology and share Austrian economic principles, rights to defend oneself, adherence to the Constitution, property rights, etc. Where do I go from there? I try to share the ideology, yet people do not listen. People look at me like I have a tin-foil headcap or people simply do not wish to talk about politics. I get it. Politics is rough. It's not an easy subject. I find it very easy to talk about as I share ideologies of both Democrats and Republicans. Just not the ones where authoritarianism is involved. I find it fascinating to hear people's evangelical, caring, understanding political opinion and realize that we are all in the same boat trying to achieve a better life for everyone. Let's talk. Even better, register on this platform. It doesn't silence you for whatever political opinion you may have. That's more than any other platform I've seen and nothing gets deleted unless it's clearly spam. You can register and tell people your political biased opinion. People read and comment, perhaps you yourself can learn something about your political principles. Stay strong. "At least it's not the government!" I don't prefer war, but I see it as something that may happen and we must be prepared to defend our country for its survival. Freedom is won by those who shed blood for their country defending it and its people, not through speeches alone. I'm a republican by my political view, I do not agree in a democratic principle, I agree with following the laws and the constitution of the land and the constitution that the people first form shall not be infringed upon by future laws. with the Democractic principle* Same poster, sorry about the typo. Great piece. My favorite line: "I find it fascinating to hear people's evangelical, caring, understanding political opinion and realize that we are all in the same boat trying to achieve a better life for everyone." It's like that pretty much everywhere; however, most people get pigeon-holed in a common frame of thought and don't know how to escape their calcified box. We need more individuals like you who enjoy the healthy exchange of ideas from all perspectives. We can learn a lot from each other.